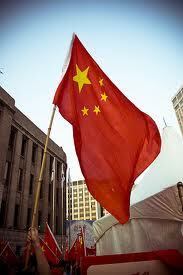 At some point in the current century China will become the leading power in the world. The impact of China’s rise to prominence on the international system is a critical issue that Western governments must face, with either cohesion or confrontation. The ashes of the Second World War gave rise to an international system, led by the United States, centered on the Western notion of liberal democratic capitalism. With the disintegration of the Soviet Union, the United States became the sole superpower in a unipolar new world order. Now its power is fading. Many commentators suggest that this new world order is nothing more than a “unipolar moment”, which will soon give way to a fresh multipolar world order in which China will eventually become the main actor. History is replete with examples of international power transition in which the ascending nation uses its growing influence to disrupt and reinstitute the global system in order to shape circumstances to serve its own national interest. Meanwhile, the declining world power sees the emergent nation as a challenge to its global position, and therefore takes steps to limit the capacity of the up-and-comer to achieve its desired advantage. How the U.S. and China engage in this game of thrones will have drastic effects on the world system, highlighting some fundamental questions that must be addressed. What effect will China’s rise to prominence have on the current international system? China’s market liberalization and subsequent exponential economic growth is the talk of political economists around the world. Niall Ferguson, professor of history and business administration at Harvard University and author of Civilization: The West and the Rest, explains that China has experienced the “biggest and fastest of all the industrial revolutions.” China’s gross domestic product (GDP) grew by a factor of 10 in the space of 26 years, compared to Britain’s industrial revolution which was limited to a factor of four in the 70 years following 1830. Due to this expansive growth rate, the International Monetary Fund estimates that China’s share of the global GDP will pass the 10% mark in 2013. And just as China recently outstripped Japan in GDP terms, forecasters predict that China will overtake the U.S. in 2027. With increasing economic clout inevitably comes increased political influence, and China is currently flexing its muscle worldwide. Diplomatic cables revealed by Wikileaks illustrate a U.S. position that is becoming more cautious of China’s international assertiveness, and with good reason. Either to protect its own internal sovereignty or for ease of trade, China has shown no interest in making its aid or economic relations contingent on human rights or fair governance principles. China’s policy is one of non-interference in domestic political affairs, while Western countries often make aid conditional on “good governance”. This policy is evident in China’s influx of economic interests in Africa, in which Johnnie Carson, U.S. Assistant Secretary for African Affairs, described China’s actions as “very aggressive” and “with no morals”. 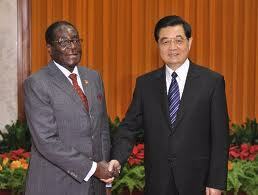 Chinese President Hu Jintao with President Robert Mugabe of Zimbabwe. Is the liberal democratic international system strong enough to make China an inclusive part of its existing order? I think there is, or has been, a widespread Western assumption that as China modernises, it will become just like us. Now if you think it’s going to be just like us, then it will just be, as it were, another Western country. Personally, I think this is quite wrong. So you can already see a shift taking place, just the beginnings of it, in the way in which the international economic order works… You might get a twin-track change taking place, slow reform of the existing institutions and the emergence of new institutions. But ultimately, there will be some new kind of institutional framework. What kind of international order would the United States like to see in place when it is less powerful? The above question was posed by John Ikenberry in a 2008 edition of Foreign Affairs magazine. Commentators such as Fergusson and Jacques believe that China will use its growing influence to reshape the rules and institutions of the international system to better serve its interests, and other states in the system, particularly the declining hegemon, will start to see China as a growing security threat. Many predict that this will inevitably lead to tension, distrust and conflict that is typical of power transition, as China and the U.S. vie for control of the rules and the leadership of the international system. Seen in this light, the rise of China need not lead to a volcanic struggle with the United States over global rules and leadership. The Western order has the potential to turn the coming power shift into a peaceful change on terms favourable to the United States. But that will only happen if the United States sets about strengthening the existing order. Today, with Washington preoccupied with terrorism and war in the Middle East, rebuilding Western rules and institutions might to some seem to be of only marginal relevance. Many Bush administration officials have been outright hostile to the multilateral, rule-based system that the United States has shaped and led. Such hostility is foolish and dangerous. China will become powerful: it is already on the rise, and the United States’ most powerful strategic weapon is the ability to decide what sort of international order will be in place to receive it. An Eastern or Western-Value Driven System? A New or a Free World Order? China, in all likelihood, is going to become the next generation superpower, and there doesn’t seem to be much that the U.S. can do about it. But there are choices that U.S. and other Western political leaders must make in terms of what the next century and beyond will look like. Will the international order be governed by liberal democratic principles? Or will the world slip back into the authoritarian and dictatorial rule that has been the norm of human existence? In order to safeguard the future of the Western liberal democratic experiment it is necessary to enhance and strengthen the bonds and convictions that have allowed this tradition to flourish. In the aftermath of the fall of the Berlin Wall and the collapse of the Soviet Union, the world was caught up in a New World Order sentiment that believed the 21st century would bring unimagined peace and prosperity in the age of the Pax Americana. But has this come to pass? With the collapse of one communist regime came the rise to prominence of another, albeit in a quasi-free market form. The markets may be open, but the society itself is not. In the past decade in which China has broken all economic expectations we have also witnessed violent oppression of Tibetans and Uighurs, an attack on Google and an increase in already heavy government internet censorship, and the recent affair in which China’s actions toward the awarding of the Nobel Peace Prize to Liu Xaobo illustrated the lack of maturity of the Chinese leadership and just how out of step the Communist Party of China is in terms of one day entering a Western-value centered international system without conflict. This raises a fundamental question: Is the world witnessing the dusk of the liberal democratic centered world with the dawn of a new world ordered by authoritarian governance? Although the Western-driven liberal democratic system is not ideal, it is currently the least oppressive available option. And the new dawn of political alternatives can bring only night. Comments and discussions are welcome and encouraged.